That is, until Sol arrives. 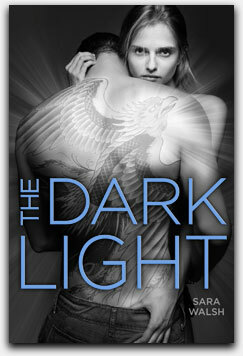 Mia's not one to fall for just any guy, but she can't get intense Sol—or the brilliant tattoo on his back—out of her mind. Then Mia's brother goes missing, and Mia's convinced that Sol knows more than he's sharing. But getting closer to Sol means reevaluating everything she once believed to be true. Because Sol's not who Mia thought he was—and neither is she. "Action packed and compulsively readable, THE DARK LIGHT pulls you in with the mystery of the strange lights on the horizon and rash of sudden disappearances, and takes you on a fantastical journey full of magic, romance, and adventure." © 2019 Sara Walsh. All rights reserved.